The Lancet recently published a review paper emphasizing the importance of nutrition in the first 1,000 days after birth. New scientific research is supporting this concept to a remarkable degree, with a Brigham Young University study finding that infant feeding practices predict obesity in adults. 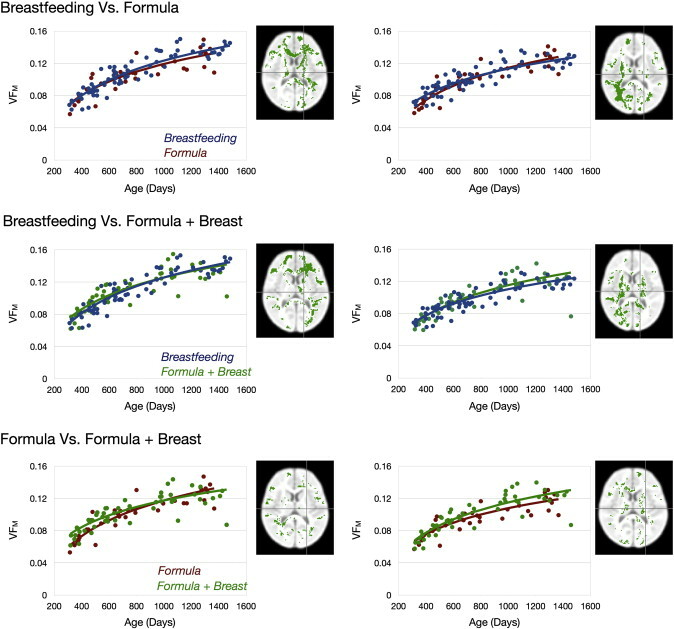 Additional studies released in the last few weeks indicate extensive health effects in formula-fed infants and increased brain development in breastfed infants. What you consume as an infant impacts your health for the rest of your life. According to the Lancet paper, malnutrition as a baby can have particularly lasting effects on an individual, and may be a contributing factor to the growing epidemic of metabolic diseases like diabetes. While the consensus that breastfeeding leads to better health is not new, the mounting evidence shows that breastfeeding deserves a strong public health push. What little money is available for public health right now would be well spent on an issue that has such broad potential health benefits. A study in Rhesus monkeys highlights the wide range of benefits of breast milk. Researchers at UC Davis found that compared to breastfed monkeys, those that were formula fed had altered gut flora as well as (possibly related) reduced function of their immune systems and metabolism. Additionally, a Brown University brain development study employed several methods to measure brain development in infants. The researchers found that children who had been breastfed had much stronger development in some brain regions. While this is just a single study, it supports previous findings in adolescents. The figures examining myelin water fraction, a measure of white matter growth, are particularly remarkable. By that measure, some brain regions experienced as much as 34% greater development in breastfed children as compared to formula-fed. While many studies have shown long term health benefits of breastfeeding, there is still a need for more research. Ethical considerations make true randomized studies difficult in this field. As a recent WHO review of long-term breastfeeding effects points out, the well-recognized short term benefits to infant disease and mortality make it unethical to assign a formula-only group at random. Because of this, long term effects can be obscured by the effects of parenting and environment (parents who choose to breastfeed may share other characteristics). Additionally, the current recommendations would benefit from more information on the cause of long term benefits. Not all mothers have the option of breastfeeding, so there needs to be a better alternative. The real story in this new research is that the development of baby formula has not progressed as well as one would hope. It is currently a poor alternative and while we may never (in the near future) be able to reproduce all of the benefits of breastfeeding, it is hard to believe that we can’t do better. By that measure, some brain regions experienced as much as 34% greater development in breastfed children as compared to formula-fed. This is impressive but still a bit hard to put into context for me. Is there any way to estimate what impact this kind of brain-growth actually has on downstream measures of intelligence or educational attainment? Alternatively, are there some other (more typical) activities that increase/decrease brain development by a comparable amount? 34% is certainly impressive, but if (purely hypothetically) taking your infant outside for a stroll induces even more development, then one could argue that formula + walks is a comparable option. On the other hand, if those Baby Einstein videos yield only 0.1% greater development, then I’m going to make damn sure the breastfeeding is taken care of before heading to the video store. Finally, are there any known downsides to breast-feeding that are not present in formula? In the introduction, the brain development study sites several other studies on this effect. There is a widely accepted link between breastfeeding and IQ scores. There are also correlations established between breastfeeding and adolescent brain volume and cortical thickness. The introduction also mentions that fatty acids such as DHA and AA have been associated with this increase, among other possible causes. My impression is that this study is exploring causality. The information yielded by this study will hopefully help us figure out exactly what is causing the long term cognitive effects. It would be easy to add DHA to formula for example, but compensating for the many species of bacteria in breastmilk could be difficult or impossible. In my research for this article I did not come across any studies indicating ill-effects of breastfeeding. Also, all of the brain regions in the brain development study experienced 15-34% more growth in the breastfed group. None were negative or neutral. The only example I can think of is if the mother cannot properly consume milk or is consuming a substance or infected with a disease which makes their breastmilk dangerous to the baby. Of course, some women may not produce any or enough breastmilk and therefore formula becomes necessary. Thanks for the explanation. Brain volume is not a familiar measure to me and so it was difficult to get a feel for how dramatic these results were, and the references to IQ and other studies helps clear that up. Of course, for the intent of establishing causality as you describe, the metric is entirely appropriate. It’s also informative to know you did not come across any ill-effects. Some casual PubMed scans on my part revealed only very suggestive risks associated with prolonged breast-feeding (past 19 months) and tons of evidence supporting improved health of the mother and child. My walking example was probably inarticulate, but the way I look at these studies is a person having limited time to improve health. So if I have 30 minutes to make lunch and breast-feeding takes 30 minutes or formula + walk takes 30 minutes, then the relative impact becomes important. Of course doing both is the preferred option, but I think the limited resources perspective has value as well. To be fair, I don’t know if parents think this way and maybe it’s impractical to explore all of the possible contexts and comparisons. From my perspective, I see a lot of studies showing all sorts of dietary changes that improve health (for example) but I don’t have the option of making *all* of those changes and it’s often difficult to make cross-comparisons – so I usually make no change at all. What I actually need is someone to say “If you can change one thing about your diet here’s what you should change” or to rank the changes by effect/time or effect/cost. That’s kind of what I’m trying to get at, and I think public health science writing could play a role in providing this kind of information. I will try to follow up on other possible causes of enhanced brain development, but I believe the metric used in this study is relatively new and therefore can’t be compared to older studies of other effects. Your nutrition example sounds like a great future blog post though.